Glass fusing supplies and tools from Nickates Stained glass supplies. Glass Fusing supplies- Please pick a sub catagory. 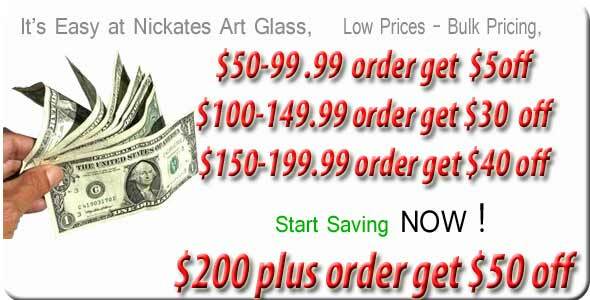 Nickates offers a complete line of hot glass supplies. To narrow your hot glass product search please pick a sub category above or scroll lower and view every hot glass product we distribute. The term hot glass is a broad term and can be broken down into a few categories such as glass fusing, glass bead making tools, glass bead rods as well as jewelry making. We distribute and ship hot glass supplies around the world. Kilns, glass bead making, fusing, and jewelry supplies with fast same day shipping to artist and schools.